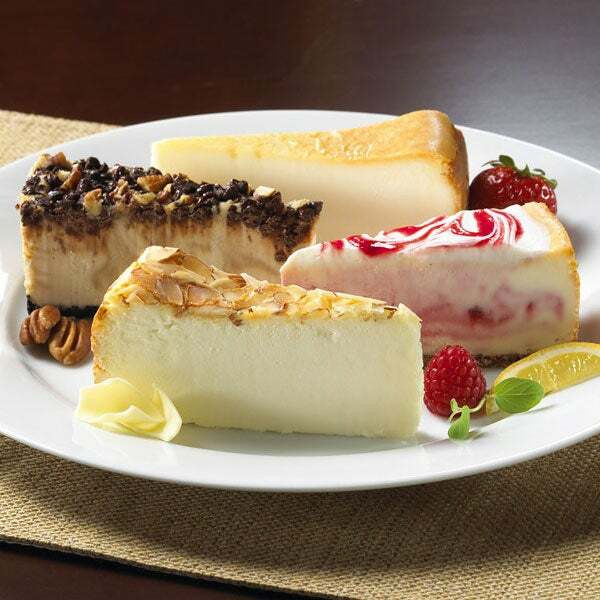 Gourmet Cheesecake Sampler is rated 5.0 out of 5 by 32. Rated 5 out of 5 by Charz from Delicious! 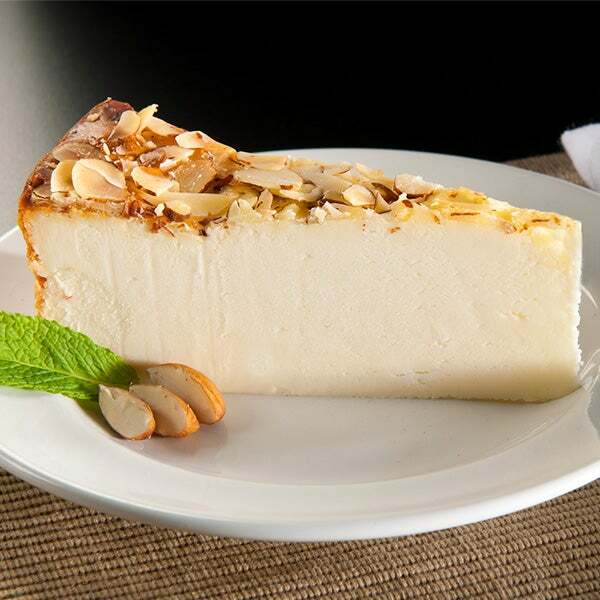 Sent this cheese cake as a gift in appreciation for all she has done and it was delicious and very tasty with all the different flavors. 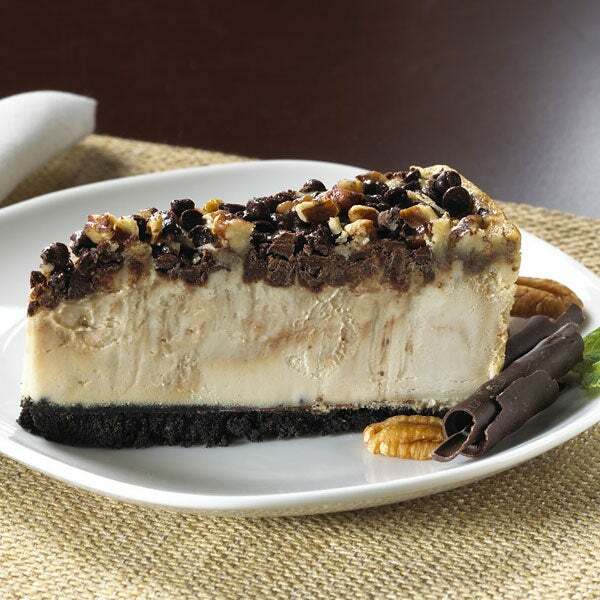 Rated 5 out of 5 by cheesecake from Best gift to send I bought the Gourmet Cheesecake sampler as a gift to send. The recipients were surprised and very happy with my gift. They both like cheesecake and the sampler was perfect. They got to enjoy 4 different flavors. They loved all the flavors, commenting, it was a very good tasting cheesecake. p.s. after I placed my order, I received an e-mail letting me know my order was placed. Then another e-mail came letting me know it was shipped and a tracking # so I could easily follow the tracking. All went so smooth. I would order from this place again. I was also pleased with the price. Plus they gave me a promo code so I could get a discount on the cheesecake. Doesn't get better than that. Rated 5 out of 5 by JCKC from Cheesecake We bought this for spouses mother for Christmas and she loved it. Rated 5 out of 5 by AGNZ from Prompt Delivery Pleased to see that the basket I ordered was delivered promptly. 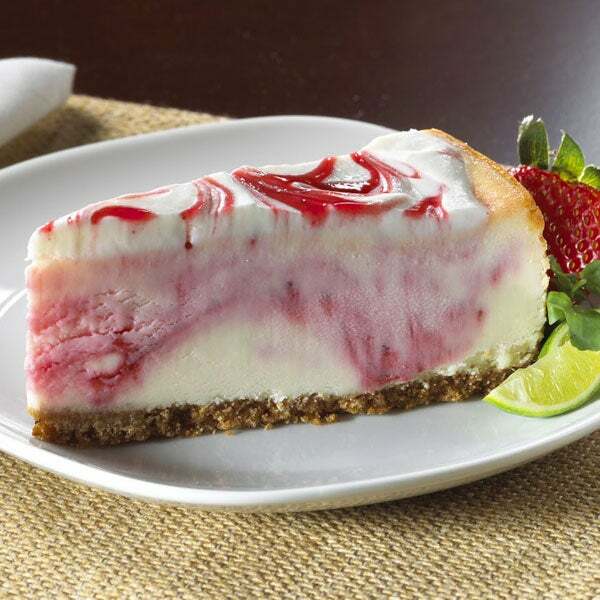 Rated 5 out of 5 by NELSnNY from Very smooth, delicious cheesecake! I bought this for office staff appreciation...they loved it! Rated 5 out of 5 by LoriB from Delicious The cheesecake was perfect... a treat that was enjoyed by all - even though it was a gift for one :-) Having the sample option gave variety to the gift. 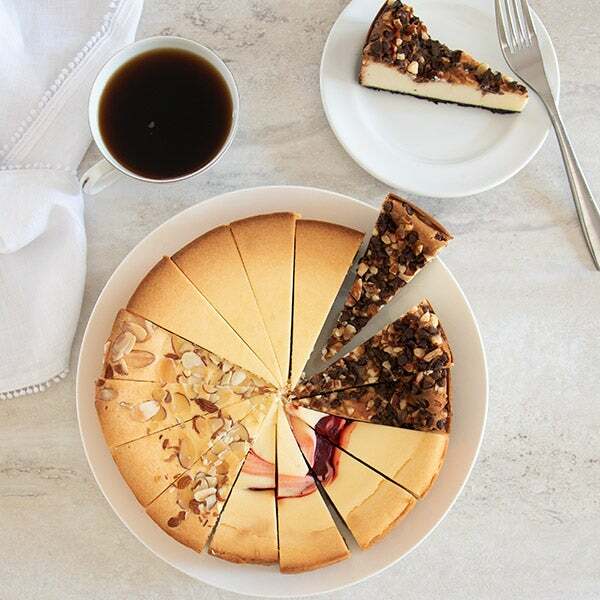 This Gourmet Cheesecake Sampler is the perfect way to enjoy all of the most popular cheesecake varieties. 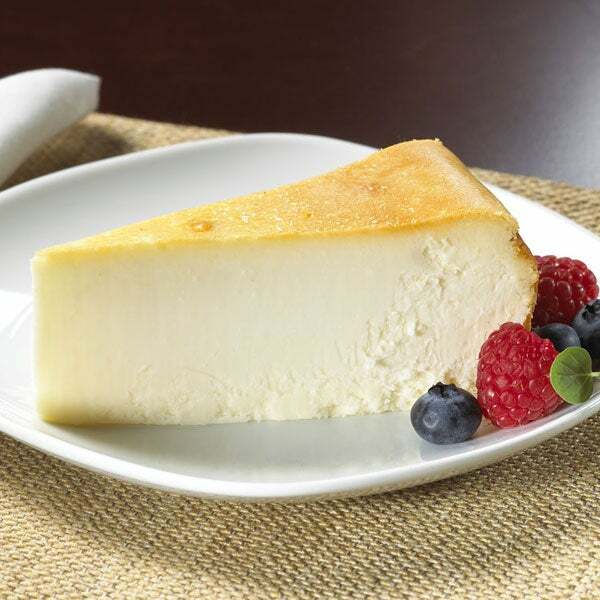 We include 4 slices each of the classic New York Cheesecake, fruity Strawberry Cheesecake, Amaretto Cheesecake, and the decadent Turtle Cheesecake. These cheesecake gifts will be sure to please all of your favorite cheesecake connoisseurs, from the purists to the adventurers!